View an alphabetical list of all the majors or browse majors by college or school. Not sure yet? Search our undergraduate majors. The University of North Texas is the most comprehensive university in the Dallas-Fort Worth area and one of the largest universities in Texas. We offer 105 bachelor’s, 88 master’s and 37 doctoral degree programs, many nationally and internationally recognized. UNT has a student population of 38,000, representing 145 nations and 50 states. Plus, UNT is one of the nation’s most diverse universities with 9,300 Hispanic students and 5,400 African American students. Options and flexibility while you work on your bachelor’s degree. A good job in your field when you graduate and the employment opportunities of a large metroplex. Selected as a “Best in the West” college by The Princeton Review. One of America’s 100 Best College Buys® for 23 consecutive years. Employers want critical thinkers with confidence. A UNT degree in hand will help you up your game by becoming a valued contributor and industry expert in programs areas like there, among 105 to choose from! 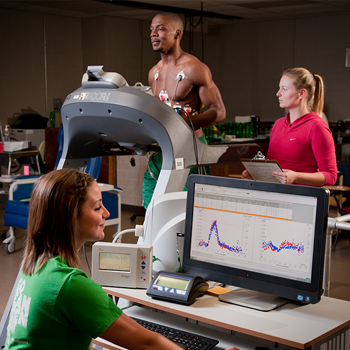 Biomedical Engineering is one of the nation’s fastest growing career fields. Biomedical engineers earn a median salary of $88,040, according to the U.S. Bureau of Labor Statistics. With a degree in Communication Design, you’ll be on the leading edge of the wave of demand for those trained in user experience design/human-centered design thinking, which seeks to improve people’s interactions with technology and the world around them. Kinesiology is a career field that is experiencing tremendous growth, due to demand by the healthcare and fitness industries. The employment rate is expected to grow by 13% over the next 10 years. 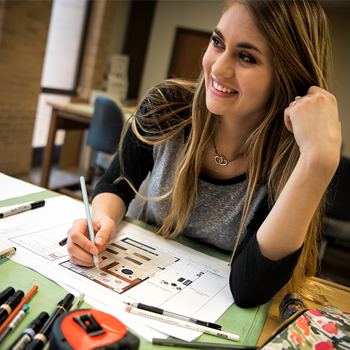 For nontraditional students like La Toya Rowell (’15), the Bachelor of Applied Arts and Sciences program provides the flexibility to earn a diploma while meeting work and family obligations. 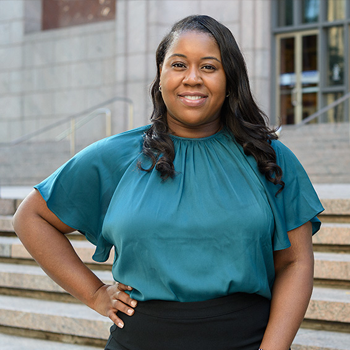 Learn more about La Toya’s path to the B.A.A.S. degree, as well as other who have earned their bachelor’s degree with this flexible program option. UNT at Frisco: The innovative education you need. The quality you deserve. UNT at Frisco offers you the chance to work on projects with real-world application alongside our industry partners. With practical experience built into each of our degrees, you’ll graduate with highly-marketable skills so you can thrive in today’s competitive job market. Not only that, our undergraduate programs in Frisco provide you with a seamless path to completion with our Transfer Pathway course guides. One of the hottest new areas of study available in Frisco is the Sport Entertainment Management track option for the B.B.A. in Business Integrated Studies. UNT is a proud partner of the Dallas Cowboys and Texas Motor Speedway. For you, these and other partnerships bring new academic experiences, including professional exposure, opportunities for engagement and internships. For UNT student like Alex Shaw (’18 M.S., Kinesiology), UNT’s partnership with the Dallas Cowboys meant an internship with Cowboys Fit that led to full-time employment. The best educational experience in Texas. Tailored to meet your needs. Convenient online degrees. As one of the largest providers of online credit courses among Texas public universities, we offer more than 20 graduate degrees, 4 Bachelor’s completion degrees, 16 graduate certificates, and 2 undergraduate certificates. Advanced degrees. Most of our degrees can lead directly to a master's or doctoral program at UNT, and many of our academic programs can take you to a bachelor's degree in two years or less if you have an associate's degree or equivalent hours. Choose from thousands of classes. Create the schedule that works best for you with day, evening, weekend, off-campus or online classes. You can even take classes at the Collin Higher Education Center in McKinney. Outstanding faculty teach most upper-level classes (not teaching assistants). Scientific, professional and educational organizations recognize the excellence of our professors. Honors College. If you like to go above and beyond, consider becoming part of the Honors College. Specially designed classes provide a challenging and supportive academic environment plus additional training in research methods and skills. An Honors Counselor will meet with you to chart an individual academic plan. You’re eligible to apply if you have 12 or more college credit hours with a 3.35 cumulative GPA. Call 940-565-3305 or visit the Honors College website for more details. 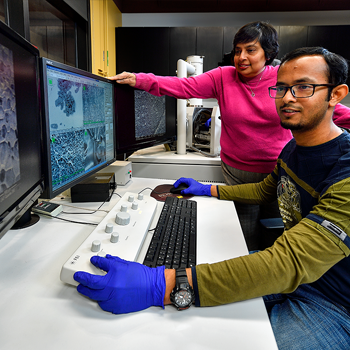 Research centers provide you hands-on experience alongside professors and graduate students. Free tutoring online, at the UNT Learning Center or in our subject-specific tutoring centers. Gain valuable work experience related to your major through our Internships program with access to 4,000 employers providing supervised, paid positions. Use the Career Center to pursue a profession you love. The center offers job fairs, résumé and letter writing assistance, job search strategies and interview preparation. Join 284,000 UNT alumni who live in the Dallas-Fort Worth area. You can build connections through this growing network of graduates. Most comprehensive university in the Dallas-Fort Worth region, offering 103 bachelor's, 86 master's and 38 doctoral degree options.